Pixelgun 3d: Pets and Gadgets! Hello everyone, and welcome to NiceGamingAdvice! 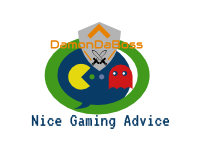 Here at NGA, you will find overviews of games (based on personal experiences in them), plenty of advice to go along with them, and just a whole lot of [mobile] gaming subjects! I’m DamonDaBoss, and this week’s post will be about pixelgun3d, going a little deeper on what gadgets are used for, and talking about the relatively new pets added to the game. So, without further ado, let’s talk about the gadgets, and what they do (based off of a level 1 version of the gadget). There won’t be any advice on any of the pets or gadgets, but based off the descriptions I give, their purposes and uses will already be shown. By the way, gadgets are split off into 3 categories, so you can have up to three different gadgets in battle! Jetpack: Duration 25, Cooldown 30 – Effects: Flight! Check out this slideshow to see what gadgets are currently in Pixelgun 3d. Wow! There are a lot of gadgets, with a ton of different uses! But wait, there’s more! Here are all the pets, and what effects they have (at level 1). There are five more pets, all legendary or better, which I do not have. All of the information on them can be found on the pixelgun wiki page here. Below is another slideshow, showing the pets and eggs that I own. I hope you enjoyed all the stats, which I hand typed and did all on my own, not using any sort of website to get this, but merely using my phone’s details (from the game itself). That’s all I’m going to say about this game for today, if you liked this post, and want to learn more, then go to the creators of the game, Rilisoft, on their website about it here. As always, have a nice day and please consider liking, re-blogging, or even following this blog for more content and more posts! Goodbye! Hello everyone, and welcome to yet another new topic on NiceGamingAdvice! I’m glad you all came to visit my site, and please enjoy the content in it! I can’t believe it’s already been 14 days since my last post! I’m probably going to end up posting again this week, so don’t worry! Now, enough about that, let’s get into the subject! Pixelgun3d is a widely played multiplayer shooter on Android and Apple. If I had to take a guess, I would say that it’s the most played multiplayer shooter out there on mobile. The theme is somewhat similar to Minecraft, in the fact that it’s a pixel/block game with a “hot-bar” at the bottom, holding items (but only weapons in Pixelgun3d). There are other similarities, but let’s not get into them right now. First, there are the character levels/ranks, and trophies. Characters gain experience from playing battles in story-mode, multiplayer, or the arena. Reaching a new rank will give the player gold and gems, and it will also make the player go against approximately equally leveled (Example: a level 18 battling a level 17, 19, or 20) players in multiplayer battles. Speaking of battles, here are a few of them. Disclaimer: The two images shown below are just two of the many game modes in the Pixelgun3d, and I only chose two for a limit on the post’s size. I will now do a quick overview of these game modes, short and sweet. – Two teams fight against each other for a limited time to capture the most flags. – People defend the flags from enemies. – Each player can use gadgets and armor to their advantage in PvP modes. (For all except the PvP “Hunger Games” mode). – A single player survives waves of enemies to earn better rewards, and get a new high score on their player profile. – The player can not respawn after death. – Ammo and armor can be found on the ground throughout the duration of the battle.